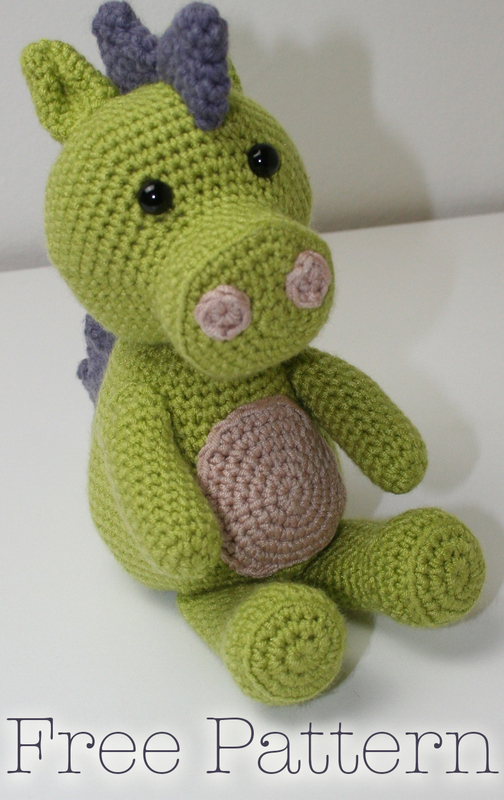 Welcome to my free Crochet Dragon pattern! 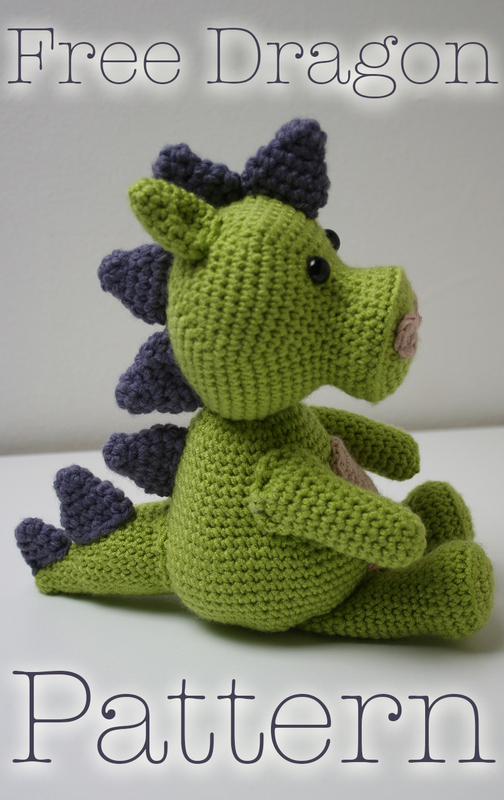 Find out how to make your own dragon crochet toy. With an easy to follow pattern and simple instructions. Let’s start by taking a look at what you are going to need. You will not need all 200g of Sirdar Snuggly, however you will need two separate balls of yarn as you will be working with two strands at once. If you are not sure whether the equipment you have is appropriate for this pattern, then take a look at my Crochet Conversion Charts here. 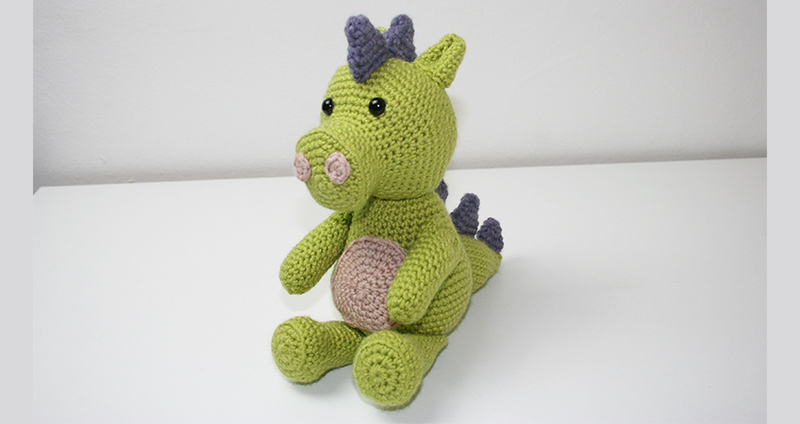 This crochet dragon pattern is formed in several separate pieces. Most of these are crocheted in circular rounds from a central magic circle. The pattern instructions will be given in full written form in the first instance, and thereafter in abbreviations. 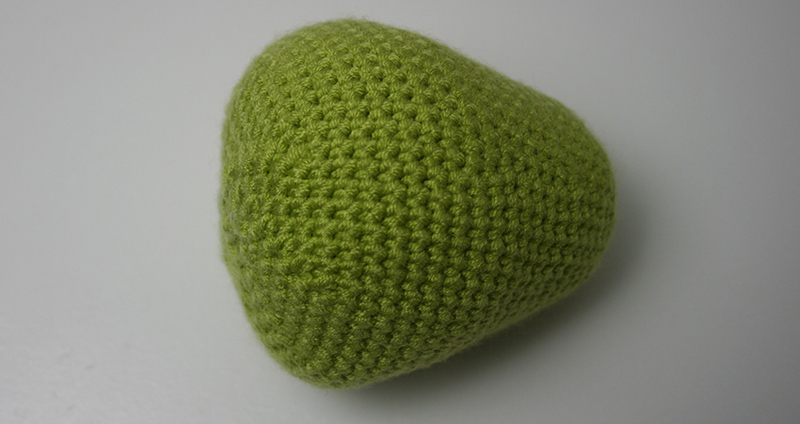 If you would like help with understanding crochet abbreviations then check out this article. 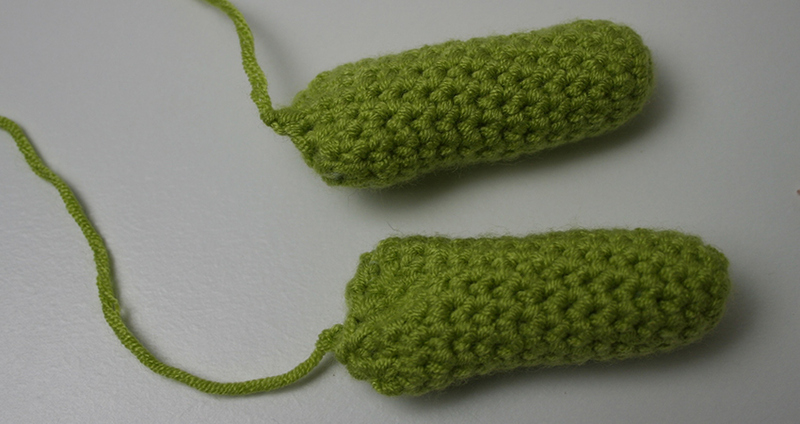 Begin using your 3.75mm crochet hook and green yarn. You will be working in a continuous circular round. Make 1sc in the first stitch, 2sc into the next. Repeat six times. 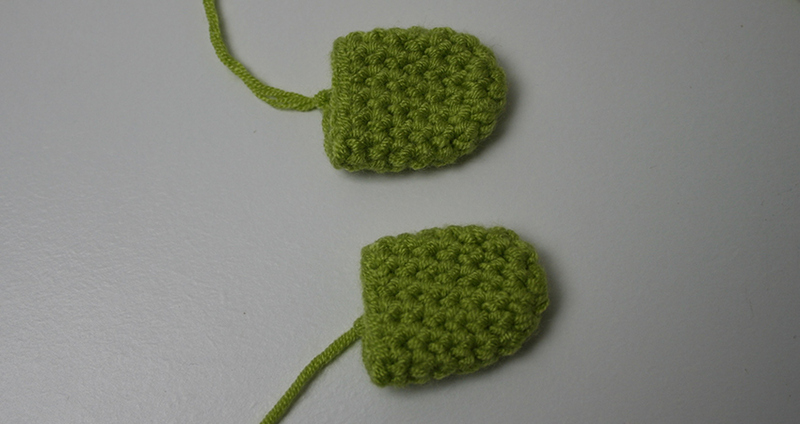 Make 1sc into the first four stitches, then single crochet two stitches together. To finish, tie off and leave cut a long tail of yarn for sewing together later. 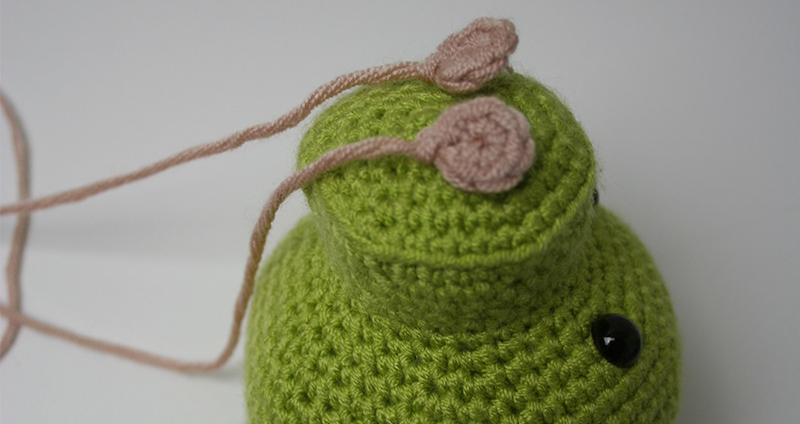 Begin using your 3.75mm crochet hook and brown yarn. You will be working in a continuous circular round. 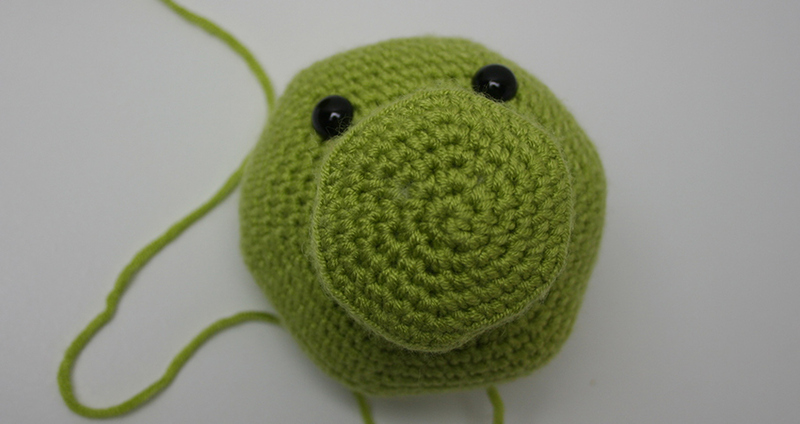 Make a small magic circle of six stitches, then slip stitch to close. 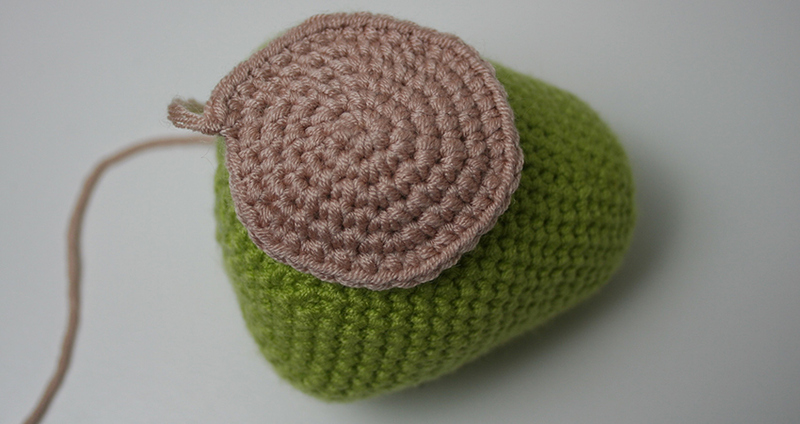 Begin using your 3.75mm crochet hook and brown yarn. You will be working in a continuous circular round. 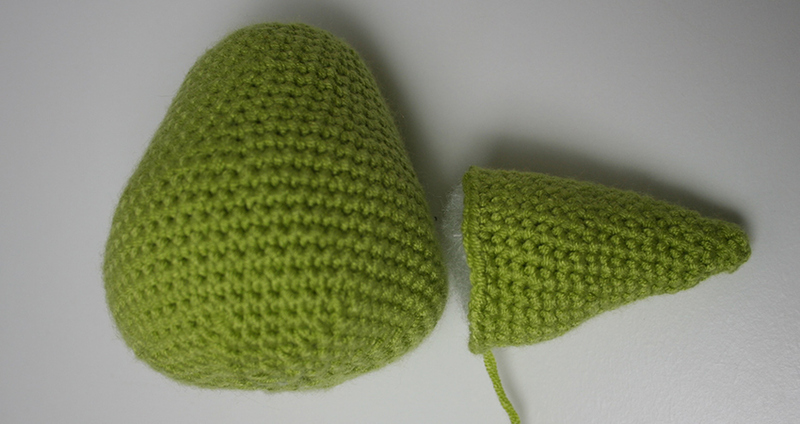 To finish, fill with toy stuffing and slip stitch into the next stitch to end. Tie off and leave cut a long tail of yarn for sewing together later. You will need seven dragon scales in total. 6 large and one small. Begin each using your 4mm crochet hook and two strands of purple yarn. 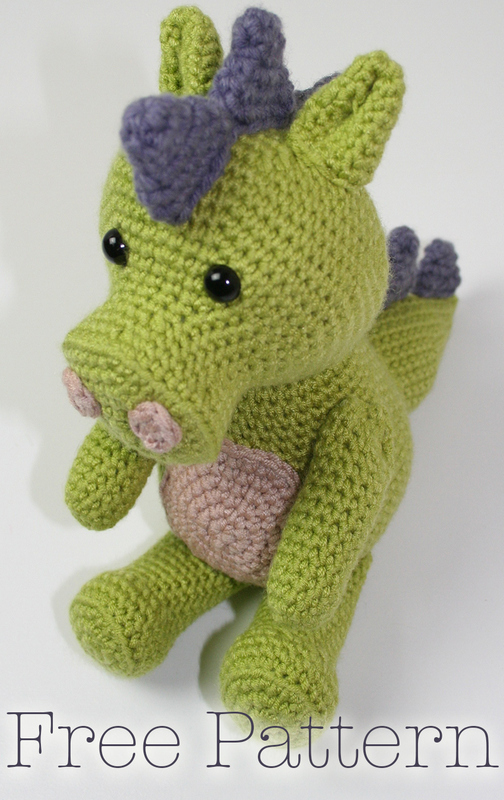 Your crochet dragon is now ready to be sewn together. First attach the nostrils to the head. Using your needle and the long loose end of yarn, sew through the centre of the ring to disguise the end, then weave in and out of the nostril attaching it to the upper part of the front of the muzzle. Continuing to sew using the loose tail of yarn, attach the head to the body where you began your magic circle, then the tail exactly opposite at the bottom of the pear shaped body. Sit the tail so it will lie level along the floor. Next sew the tummy patch by weaving around the circumference of the circle. Place it directly under the dragon’s chin, just above where his bottom will sit on the floor. Next sew the two legs underneath the dragon’s base, weaving tightly and securely. Place the arms by his sides, angled slightly downwards and attach them at the shoulders only. Finally you can sew the scales along the back. Space them evenly and pointing upright. 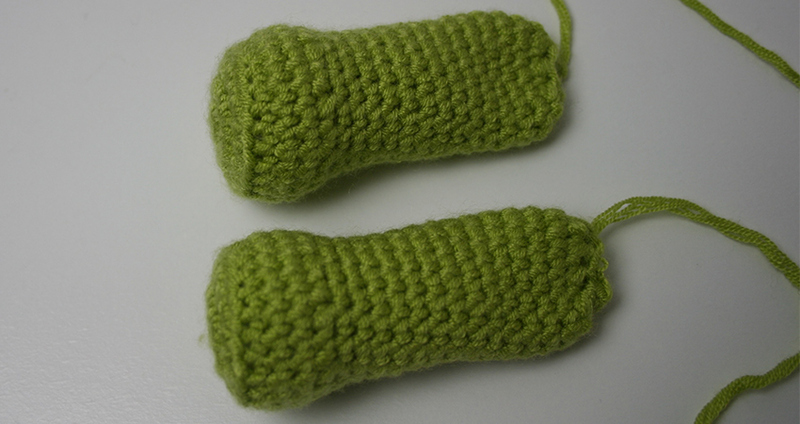 The small dragon crochet scale is to be attached at the end of his tail. I love this. He is super cute. How big is the finished toy? Hi. I have just finished my first crochet dragon and it has come out at just a smig over 9 inches high. I am seeing my dragon together now and am not seeing any instructions for the ears. I’d love to know what you did to get them shaped like that. It definitely gives me a good place to start! I think I will just have to play around with it. Thank you so much! My son LOVES his dragon even without the ears. I love this cute little dragon, is there any special permission I’d need in order to sell finished dragons? I have an etsy shop and will be participating in a craft show later this year. My Dragon measures a smig over 9 inches high. I”m curious as to when you’re supposed to stuff the pieces, I didn’t see any instructions on when or how to stuff the pieces. Hi Tonya, The instructions are in italics near the end of each relevant section.